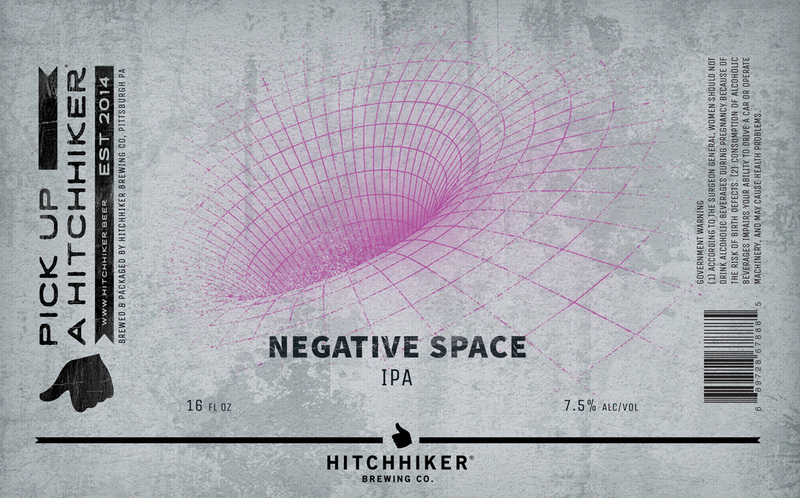 Negative Space | Hitchhiker Brewing Co. Brewed with Oats and Wheat. Hopped with Citra, Mosaic, and New Zealand Waimea. Notes of Tangerine, Passionfruit, Blueberry, and Pine.